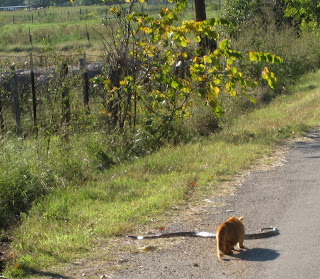 *No animals were harmed in the production of this blog. In case you're wondering. I'm guessing it was a rat snake. 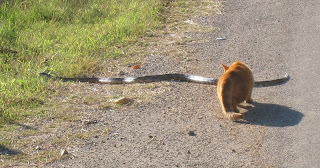 Also, the cat was way more interested in the snake than vice versa. 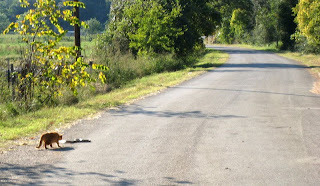 It was a fairly cool day so the snake was moving pretty slowly. 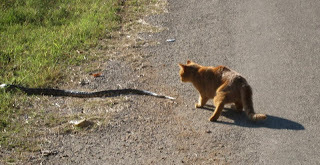 I wish I had gotten a picture of it, but the cat was pawing at the snake.